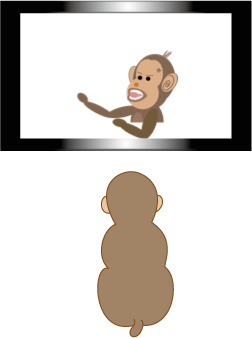 The monkey was presented with six different movie clips when sitting with the head fixed. No food reward was presented. While the monkey was performing the task, ECoG data and eye-tracking data were recorded simultaneously. There was no motion tracking.